I'm happy to release a new script that allows you to create scripts using objects in max's viewport. It was written with the idea that it could replace the long outdated and basically useless "Visual Maxscript Editor" - it's even named the same acronym. VME also 'imports' a PSD and converts it to a .MS file, if the PSDs layers are named correctly. Scanline VFX is currently hiring for our Los Angeles studio. Works with the Head of Technology to architect and develop production tools and supporting modules in a Max and/or Mel scripting language environment. 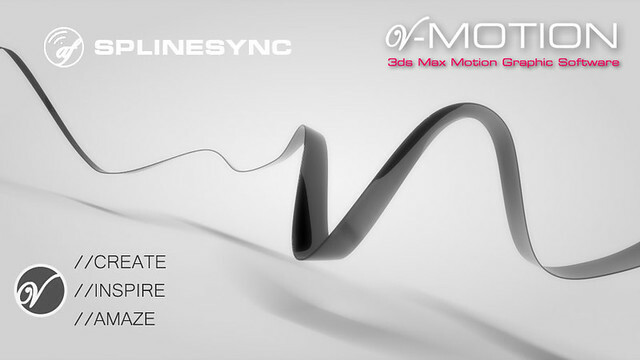 Primary responsibilities include automating the use of Flowline, our proprietary, Academy Award-winning simulation software -- connecting it to our asset management system and creating an optimized workflow according to long-term and production-specific needs. Chaos Group of Sofia, Bulgaria – the world leader in the development of software solutions for the computer graphics industry – has acquired Baltimore-based software developer and visualization firm, ASGVIS, LLC. The acquisition will consolidate V-Ray for Rhino and V-Ray for SketchUp development within the Chaos Group brand, and confirms establishment of a new Chaos Group company in the United States that will enhance services and support to customers in North America. I'd like to wish all of you a fantastic New Year! 2010 has been fantastic - we've celebrated the 20th anniversary of 3ds Max and the 10th anniversary of ScriptSpot along with sister sites MAXUnderground & MaxPlugins.de ! Andy Murdock has updated Automatron (his character animation system) to version 1.2 and released it for FREE. This is a little tool to get the scripspot rss feed directly in max, displayed on the viewport. It of course only shows max related stuff, updates every 7 minutes and thats about it for descriptions.